Fred Tate: It's funny, cause I *think* I can even remember being born. For the first two weeks of my life I didn't even have a name. Dede couldn't make up her mind. She finally decided on Fred. She said that she had never heard of a little kid named Fred before. 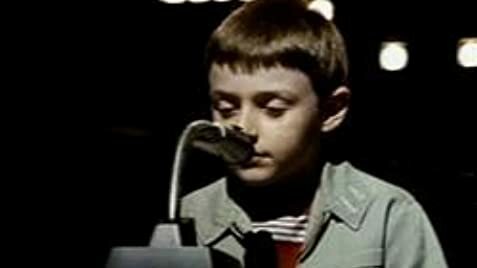 I was mainly interested in this film because of the subject - the predicament of a child genius. Half way through it I was captivated, not so much by the subject(in part because of the way it was handled), but by the child genius himself. Adam Hann-Byrd is thoroughly captivating. Rendering a sympathetic performance, he's almost bewitching! He even looks a lot like Jodie Foster. And it's to her credit as a director for finding such a perfect little actor to play such a complex role. 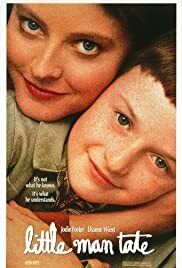 Jodie Foster herself gives a moving performance as a struggling mother who is suddenly made to feel incapacitated, both financially and mentally, as the mother of a child prodigy. Diane Wiest's choice of characters has always been interesting. From 'Edward Scissorhands' to 'Birdcage', 'Practical magic' and still other films, she's usually played characters who are slightly quirky, odd or non-conformist, with a touch of humor in them. Over here she plays to perfection the role of the demanding, independent mentor of Fred Tate with a warped emotional intelligence. One grouse though...as far Diane Wiest's character is concerned. I think her role is too much of an extreme as compared to Jodie Foster's. At the end of the film, Wiest's character, Jane Grierson ends up looking sheepish, repenting and even stupid to an extent. The end is almost sort of an ode to perfect motherhood, decrying the failure of the poor mentor spending tons of money by taking prodigies under her wing. It seems to say, child prodigies don't need all that specialized atmosphere, don't need special benefits, when in fact they do. I'm not saying that they ought to be living in state-of-the-art cages where they will only interact with other prodigies. But they do need a lot of other benefits that ordinary schools which underestimate the intelligence of even "normal" people just cannot provide. Child geniuses need to be dealt with very sensitively, keeping in mind their advanced faculties all the time and an atmosphere has to be created for them to properly nurture their special gifts. Somehow this film, by showing Jane Grierson as obviously insensitive, indirectly puts forth a bad case for special training for child geniuses. The real test of motherhood and Dede's feelings of jealousy towards Jane would have been explored if Jane, along with her maternal feelings for Fred would have also been shown to be sensitive or considerate. Instead we are made to laugh at Jane because she offers Fred some brown fruit/veggie juice and he asks for Coke... So that's it. This film is good, not for the content or it's resolution, but for the acting. Kudos to Adam Hann-Byrd!